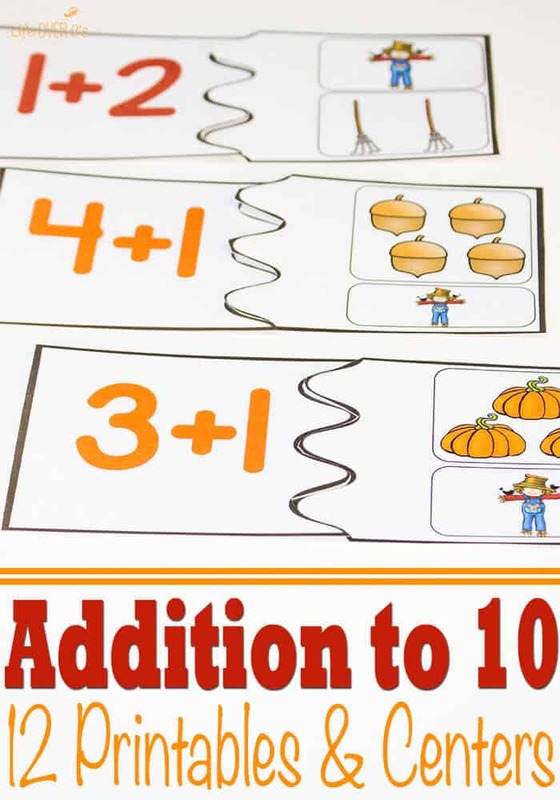 This Fall Themed Addition to 10 Printables & Centers Pack is full of fun ways to get your kids to learn their addition facts! 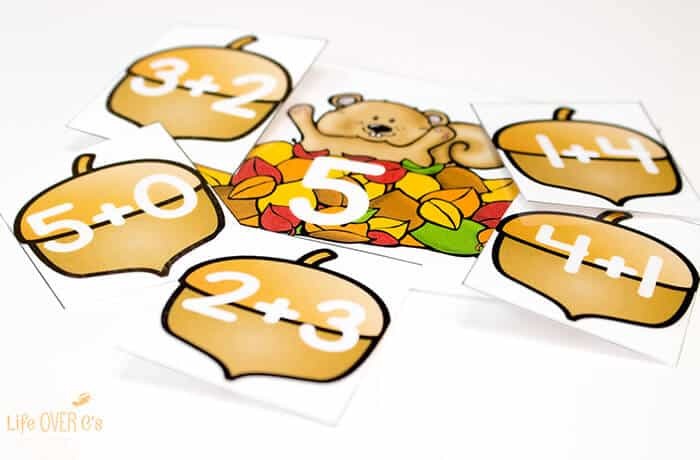 This pack is picture based, so it is perfect for kids who are just beginning to learn about numbers and still need the visual representations to help them add. 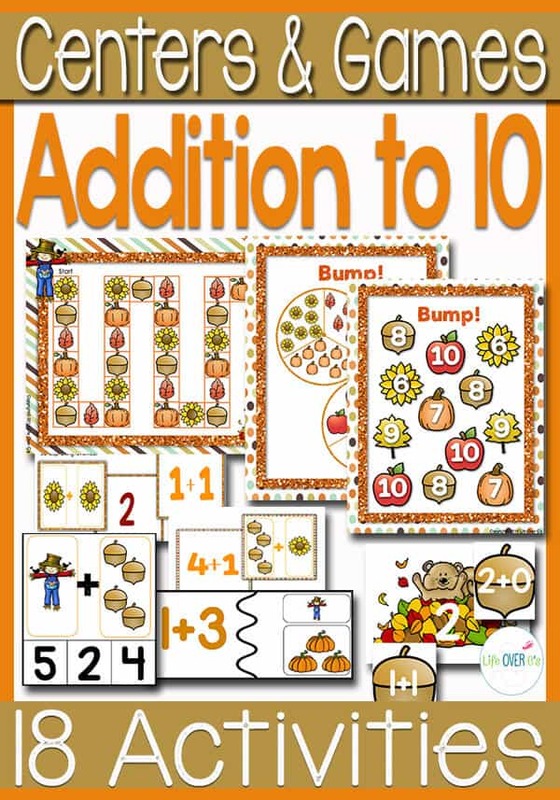 The beautiful fall themed graphics are the icing on the cake! Be sure to check out everything that is included! 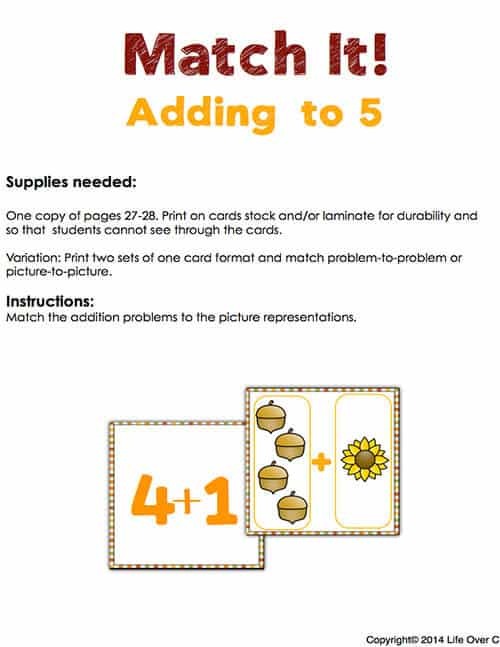 Match the addition problems to the picture representations. 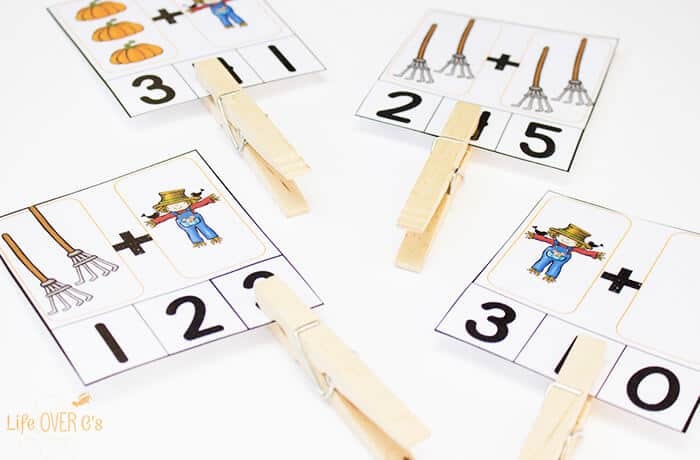 Place a paper clip or clothespin on the correct answer. You can see the instructions in the picture below. Bump! 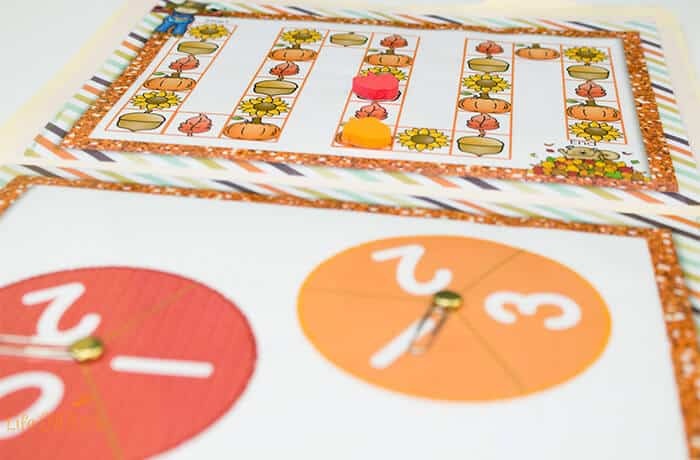 is one of our all-time favorite games! 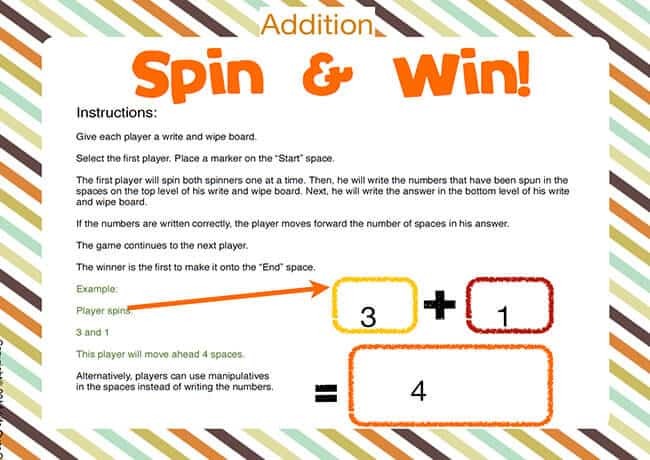 The kids love competing against each other and it gives them great practice on their math facts at the same time. Even big kids can use a good review every now and then. Match the nuts to the correct squirrels. This is a favorite of my 3rd daughter. I created it just for her while she was in kindergarten. She loves squirrels. You can see the Free Squirrel CVC printable that I also created for her. 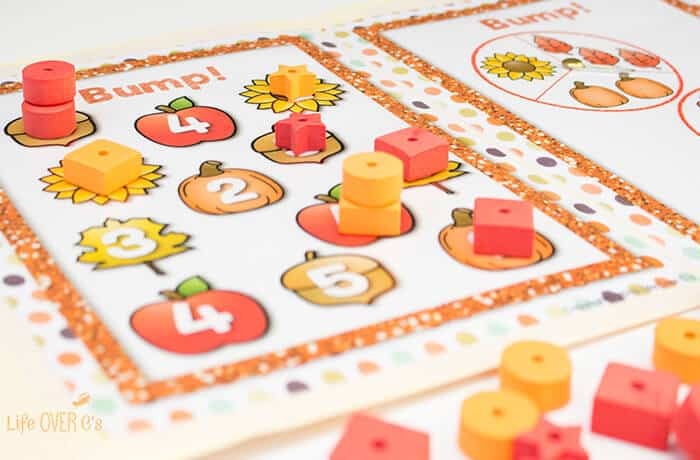 Multiple levels of Matching Games for lots of fun practice. 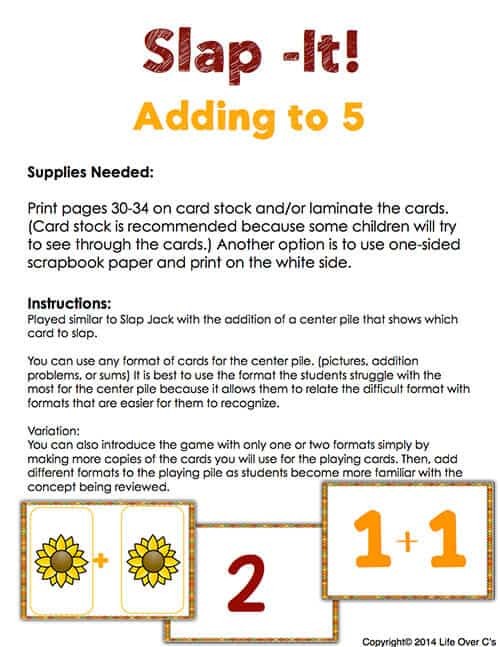 Print them on the white side of scrapbook paper for a cute background on the cards. Plus, it will make it so the kids can’t see through the cards to cheat! We also love Slap It! games! 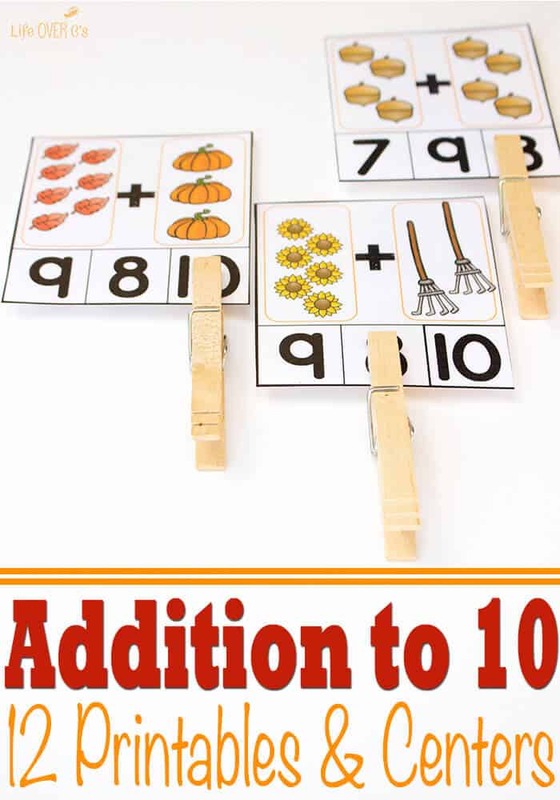 We have so many for lots of different skills and the kids just can’t get enough of them! 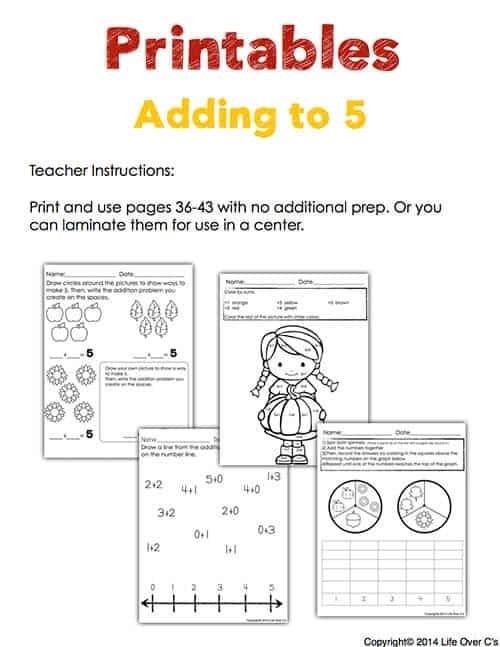 Every activity is created with a 1-5 set and a 6-10 set, however, you can mix and match many of the activities according to the ability of your students for easy differentiation. 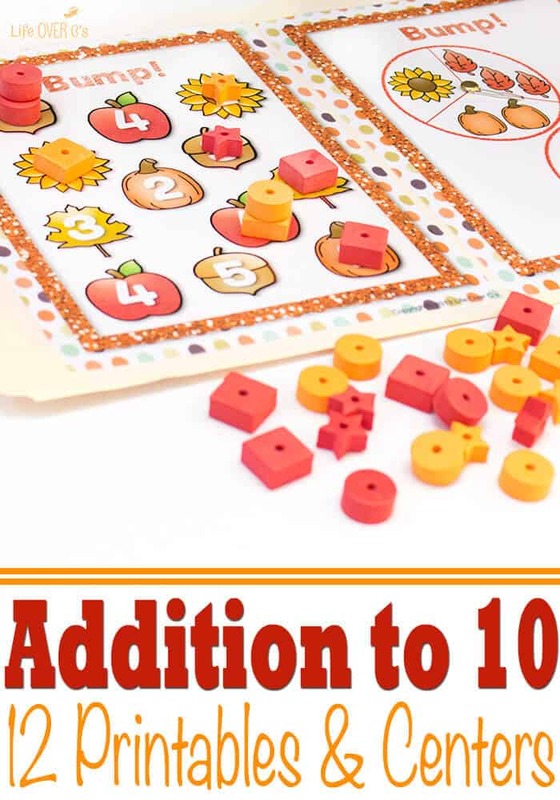 Where did you get those cool foam beads shown in the title image? Those are perfect for counters, aren’t they! Thanks for sharing at the Thoughtful Spot! I bought the beads at Michaels craft store over the summer. I’m not sure if they have them year round, but it was in the aisle with all the foam crafts.